This season we are offering a special Holiday Box perfect for any floral enthusiast. This gift box will include an FSNY canvas apron, high carbon steel ARS Japanese clipper and a FSNY notebook. This is the perfect addition to any gift certificate purchase! Have a flower lover in your life? 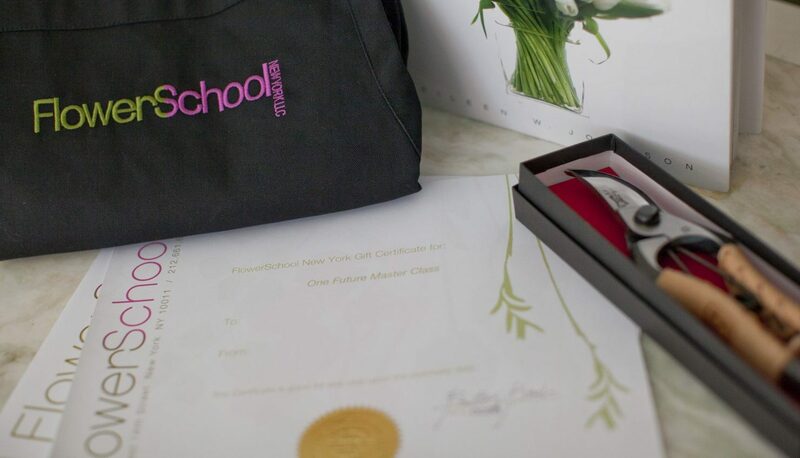 Give the gift of floral design with a FlowerSchool New York Gift Certificate! Our certificates can be arranged for a specific class or series, or for a dollar amount redeemable towards the school or gift shop.